PTI"The Joint Statement between the United Arab Emirates and India is an important articulation of a significant shift in the Arab world’s view of India." Photo shows Prime Minister Narendra Modi with Crown Prince of Abu Dhabi Sheikh Mohammed bin Zayed Al Nahyan at a meeting in Abu Dhabi on Monday. Prime Minister Narendra Modi’s visit to the United Arab Emirates (UAE) this week has the potential to be remembered like Prime Minister P.V. Narasimha Rao’s visit to Singapore in September 1994. Through his famous Singapore Lecture, Narasimha Rao unveiled India’s “Look East” Policy. Through the joint statement that he signed with UAE’s leadership, Mr. Modi has unveiled India’s“Look West” Policy. The nuclear non-proliferation order is clearly in trouble. The failure of the recently concluded NPT Review Conference (RevCon) over issues of nuclear disarmament and the Middle East Nuclear Weapons Free Zone (MENWFZ) highlighted the challenges the international community faces. India, as always, did not participate in the RevCon, but India has an important stake in the survival of the regime. Equally, the Treaty on the Non-Proliferation of Nuclear Weapons (NPT) needs India more than ever, not only because of India’s strong ideational and policy support for non-proliferation but also its increasing stature in global affairs. The differences at the RevCon were stark. 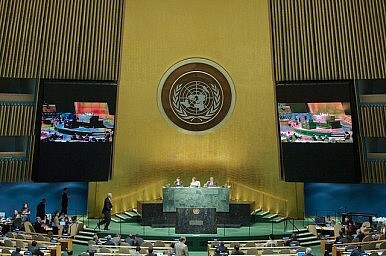 Although NPT members eventually agreed to a text for the outcome document, the month-long review conference saw heated debate on how to ban nuclear weapons and establish a world free of nuclear weapons. The gap between nuclear weapon states (NWS) and non-nuclear weapon states (NNWS) on the approach to nuclear disarmament has widened since the 2010 NPT Review Conference. Similarly, on the MENWFZ, NPT members remained divided over a proposal sponsored by Egypt that called for regional conference to ban weapons of mass destruction (WMD) in the Middle East, leading some Western observers to label Egypt as “the spoiler” of the RevCon. In the UAE, Narendra Modi lays the foundations for a strong partnership between New Delhi and Abu Dhabi. Indian Prime Minister Narendra Modi concluded his visit to the United Arab Emirates (UAE) today. Visiting over the weekend, Modi became the first Indian prime minister to do since the 1980s. Modi’s visit placed great emphasis on improved economic ties between the two countries, which share a major commercial relationship. Following the United States and China, the UAE is India’s third-largest trading partner, with a bilateral trade volume of $60 billion. The UAE is also important for India’s energy security—oil exports from the Gulf Cooperation Council countries, a grouping which comprises the UAE, supply 45 percent of India’s petroleum demand. In the UAE, Modi met with Sheikh Mohamed bin Zayed Al Nahyan, the crown prince and deputy supreme commander of the UAE Armed Forces. The two leaders discussed trade, security, and strategic issues, according to the Press Trust of India. 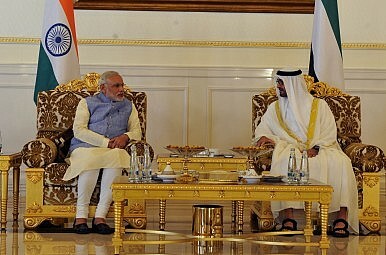 Modi and the crown prince discussed the regional challenge posed by the Islamic State group (ISIS). In recent months, ISIS has started making forays into Afghanistan and Pakistan, raising the group’s threat profile in neighboring India. Modi discussed how the two countries could increase cooperation on countering terrorism. Its Supreme Court has retreated from its insistence on ‘due process’ in a state that is no longer sovereign. After killing Prime Ministers and governors, terrorists in Pakistan have killed another minister. Punjab Interior Minister Shuja Khanzada was killed in a suicide bombing in Attock after he claimed the entire command structure of an al-Qaeda-linked terrorist outfit had been killed in a “police encounter”. Can Pakistan have “normal” law and order? This month, Pakistan has gone through another crisis, once again involving parliament and the judiciary. A17-judge full bench of the Supreme Court ruled that parliament was right to establish military courts through the controversial 21st amendment. The lawyers were understandably opposed to the military courts, which carried the odour of the many martial laws of the past. Most purists, stung by the short-circuiting of the normal rule of law, wrote to persuade the bench to disallow the military courts by shooting down the 21st amendment. 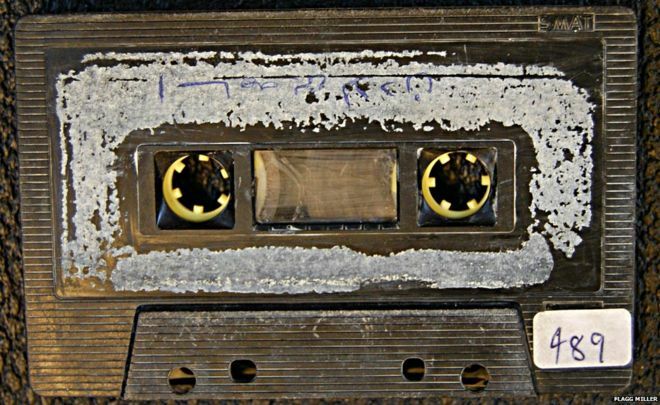 What was in Osama Bin Laden's tape collection? The label on this tape reads "Osama Bin Laden"
After the US invasion of Afghanistan in 2001, Osama Bin Laden was forced to flee the city of Kandahar, where he had been based since 1997. Several compounds were hastily vacated, including one, opposite the Taliban foreign ministry, where al-Qaeda bigwigs met. Inside it, 1,500 cassettes were waiting to be discovered. Picking through the ransacked property, an Afghan family found this haul of audio tapes, which they swiftly removed and took to a local cassette shop - with the Taliban now gone, there was money to be made producing previously banned pop music, and these were ripe for wiping and filling with the hit songs of the day. Developments in Afghanistan over the past two weeks have underscored an emerging dilemma for China’s approach to the country. In the recent past this has been defined by a focus on the protection of its own narrow self-interests, namely insulating its restive province of Xinjiang from the destabilizing influences of Afghanistan-based radical Islamism and drugs trafficking, as well as securing access to Afghanistan’s natural resources. With the U.S. military presence now reduced to some 9,500 personnel and the government of Prime Minister Ashraf Ghani facing not only the Taliban insurgency but also the potential spread of Islamic State (IS), Beijing now faces three major tests for its aloof approach. First, the Afghan Taliban’s confirmation of the death of their reclusive leader, Mullah Muhammad Omar, and the apparent fracturing of the group under Omar’s successor, Mullah Akhtar Mansour, weakens the likelihood that Beijing’s preferred outcome—a negotiated political settlement between the Taliban and Prime Minister Ghani’s government—will occur. Since the advent of the Taliban in the mid-1990s, China has been prepared to deal with the group in pursuit of its interests, a tendency highlighted by its then ambassador to Pakistan, Lu Shulin, famously meeting Mullah Omar in Kandahar in November 2000 to seek assurances that Uyghur militants from Xinjiang would be restrained. The Home Minister of Punjab Province, Colonel Shuja Khanzada (Retd.) and 22 others, including Deputy Superintendent of Police Shaukat Shah, were killed, and another 23 were injured, in a suicide attack on August 15, 2015. According to reports, the attacks took place when between 50-100 people were attending a jirga at Khanzada’s political office in the Shadi Khan Village of Attock District. Punjab Inspector General of Police (IGP) Mushtaq Sukhera subsequently disclosed, “There were two suicide bombers, one stood outside the boundary wall and the second one went inside and stood in front of the Minister. The blast by the bomber standing outside ripped the wall which caused the roof to fall flat on the Minister and people gathered there.” Sukhera added that Police were investigating whether the attacker inside the building detonated a bomb. The last high profile political killing in Punjab was the killing of Salmaan Taseer, the then Governor of the Punjab Province, who was killed in Islamabad, the national capital, on January 4, 2011, by one of his own body guards, Malik Mumtaz Hussain Qadri. Qadri was reportedly incensed by the Governor’s efforts to seek a marginal dilution of the controversial blasphemy law [a punitive law against any critic or defamer of the Islamic religion, Prophet Mohammad or the holy Quran] as a result of which conviction under the law would not result in a mandatory death sentence; as also his advocacy for Aasia Bibi, the Christian woman sentenced to death on November 7, 2010, for alleged blasphemy. Is Afghanistan's grand illusion of Pakistan over? As Afghanistan gradually realises that there can be no long-term stability in the country as long as Pakistan is involved, the time has come for India to register its solidarity when it would be most appreciated, says former foreign secretary Shyam Saran. Feldman's statement was based on the judgement that Pakistan, if given the right incentives, could prevail upon the Taliban leadership, mostly present in Pakistan, to enter into peace negotiations with the Afghan government. On the Afghan side, the US effort was to midwife a 'unity' government, led by President Ashraf Ghani, who believed or was led to believe that conceding a lead role to Pakistan would enhance the prospects of relative peace and economic recovery in his country. Pakistan’s years of harboring and encouraging terrorism toward Afghanistan must come to an end. And the Afghan nation in that body is like the heart! If there is in Afghanistan, it means for the whole of Asia! Thus, peace in Afghanistan would lead to peace, safety, and tranquility across the Asian continent and instability in Afghanistan would keep the continent in perpetual turmoil. Addressing the Shanghai Cooperation Organization summit in Ufa, Russia, Afghan President Ashraf Ghani called on all regional nations to fight terrorism in all its forms. 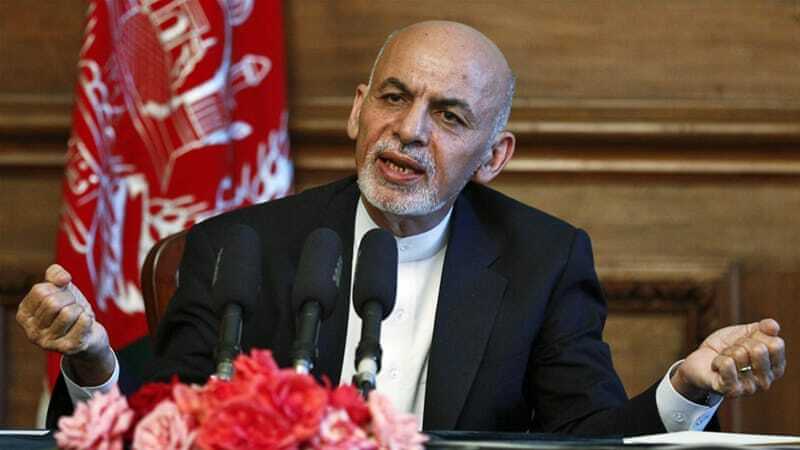 Ghani stated that “There is a continuous flow of terrorists from Pakistan that target both countries.” Ghani’s speech was more focused on fighting militancy in all forms. He knew that militants based in Pakistan are an alarming situation for not only Afghanistan, but for the entire region. Taiwan lives every day with the threat posed by the increasingly capable armed forces of the People's Republic of China (PRC). The Taiwanese Navy in particular has to consider both the prospect of a direct attack on the main island and the potential interdiction of its shipping, a critical problem for a country absolutely dependent on imported energy and resources. Circumstances are pushing the Taiwanese Navy to a much greater level of autonomous capability development than it would want. Taiwan has long built its own surface combatants, but the difficulty of getting access to high capability designs is forcing it to be even more ambitious. While previous classes have been constructed to American or European designs, it now plans to build indigenous units, with a class of four 8000+ ton guided missile destroyers the centerpiece of the program, supplemented by high speed missile carrying attack catamarans, the first of which is in service. 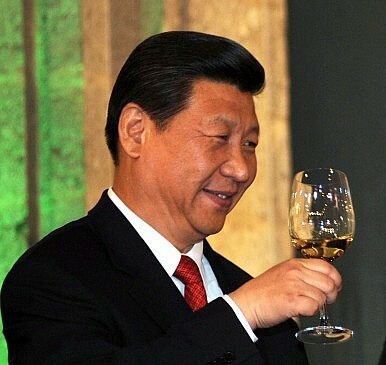 Is Xi Sending an Ultimatum to Former President Jiang Zemin? Eleven days after Guo Boxiong, one of Jiang Zemin’s lieutenants in the People’s Liberation Army and former vice chairman of the Central Military Commission and Politburo member for a decade (2002-2012), was expelled from the Party for corruption and handed over to the military prosecutors for legal procedures, the People’s Daily, the mouthpiece of the Chinese Communist Party, published an article on August 10, 2015 on the issue of old men in politics. In the article, titled “Look at the phenomenon of ‘out of sight, out of mind’ dialectically,” the author argued that those who have retired should not interfere with the work of those in power. Playing off the Chinese metaphor, the article said it should be considered normal for the “tea to get cold” as soon as the tea drinker leaves the tea house. In fact, many leading cadres have just done that. After their retirement, they no longer intervene in the business of their successors. However, some leaders refuse to accept the new normal and would like to “keep the tea hot” after their departure. In other words, they would like to retain “residual power” after their retirement. 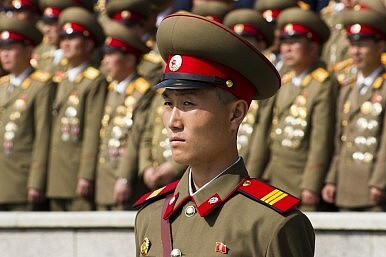 North Korea threatened to attack the United States should it not call off this year’s Ulchi Freedom Guardian (UFG) exercise, an annual joint U.S.-South Korean military drill, CNN reports. “If [the] United States wants their mainland to be safe, then the Ulchi Freedom Guardian should stop immediately,” a newswoman for the state TV station, KCNA, emphasized. North Korea is ready to “retaliate against the U.S. with tremendous muscle,” according to a spokesman for North Korea’s National Defense Commission (NDC). “The further Ulchi Freedom Guardian joint military exercises are intensified, the strongest military counteraction the (Democratic People’s Republic of Korea) will take to cope with them,” he added. 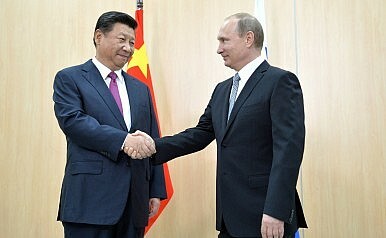 Russia, China and Pakistan: An Emerging New Axis? Regional realities are shifting fast, with some significant ramifications for India. In geopolitics, strategic realities can change with surprising speed, and even before countries realize it decisive shifts occur that shape the future for the years to come. That seems to be the case with traditional Cold War rivals Russia and Pakistan, which have of late seen a gradual warming of ties. Traditionally an ally of India and hitherto supportive of India’s stance on Kashmir, Russia has shown clear signs of cozying up to Pakistan. Having earlier lifted its self-imposed arms embargo on Pakistan, in November 2014 Russia signed a landmark“military cooperation” agreement with Pakistan, which spoke about “exchanging information on politico-military issues, strengthening collaboration in the defense and counter-terrorism sectors, sharing similar views on developments in Afghanistan and doing business with each other.” There have been reports that Pakistan may purchase Mi-35 combat helicopters apart from directly importing the Klimov RD-93 engines from Russiarather than via China for its JF-17 multi-role fighters. This could also mean a significant role for Russian equipment and spares in future development of the fighter. In addition, Russian state-owned firm Rostekh Corporation is planning to build a 680 mile gas pipeline in Pakistan in 2017 at an estimated cost of $2.5 billion. For the month of August, we have chosen to feature two original contributions in Strategic Outpost from our next generation of national security thinkers. We hope you enjoy these thoughtful pieces from young men and women already rising to be the future leaders in this field. We’ll return to our regular Barno & Bensahel columns in September. Meanwhile, best wishes for some great summertime reading! In the 1930s, wary of a revanchist Germany, France constructed an elaborate fortification system stretching across its eastern border. This state-of-the-art defensive network, the Maginot Line, ultimately did little to protect France. Its effect was entirely negated by Nazi Germany’s innovative blitzkrieg strategy that wholly bypassed French defenses, unexpectedly striking through the Ardennes forest and neutral Belgium. The Maginot Line became a ubiquitous symbol of failure in defense planning; an adversary that adapted its offensive strategy to bypass the line quickly rendered one of the strongest and most elaborate defense networks the world had yet seen irrelevant. The lessons of the Maginot Line extend well into the 21st century, as China constructs a coastal and offshore defensive belt to defend both its maritime and territorial claims with high-tech and static capabilities. Mullah Omar has died again, though this time he has died conclusively. In the high-voltage drama surrounding the declaration about his death “in Karachi in 2013” certain things are particularly notable. The announcement of Mullah Omar’s death came out after US-China-Pakistan-sponsored Murree peace talks attended by key Afghan Taliban and Haqqani network delegates. Though the Murree talks were described by the sponsors as a sort of breakthrough it was unclear from day one as to what actually came out of that meeting, except an intent expressed by all sides to meet again soon. The Taliban faction running the Qatar political office had stayed away from the Murree talks. Clearly, the sense Pakistan and other players, including the Inter Services Intelligence (ISI) cronies in Afghan Taliban must have gathered from Murree experience was that Pakistan’s new policy goals in Afghanistan can not be realized without bringing the organization into discipline by sidelining Taliban factional leaders not ready to be tamed by ISI. Serious rumors of Mullah Omar’s death had emerged multiple times in last few years, but neither the Afghan government nor the US tried to confirm them. However, this time when news of his death first originated through a splinter Taliban faction Fidai Mahaj, which was once cleared by erstwhile Tehrik-e-Taliban chief Baitullah Mehsud from his domain on insistence of Afghan Taliban leadership, Kabul as well as Washington almost immediately confirmed it, while Pakistan conspicuously refrained from denying it despite the fact that sub-title of the story was that he died in a Karachi hospital back in 2013. When Michael Pareles came to Beijing in 2004 it was the opportunity of a lifetime. Fluent in Chinese, he worked as a trade specialist for the American meat industry just as the Chinese economic juggernaut was beginning to take off. But life presents its own challenges to residents of Chinese cities. “People have to change their behavior to protect themselves from air pollution,” he says, referring to the ubiquitous face masks worn by Chinese urbanites. China’s pollution problem is a cause of severe health problems for its citizens. In 2008, a year after the People’s Republic boasted a record 14.2 percent GDP growth, air pollution caused more than 470,000 premature deaths. Regular exercise is often difficult. “I got a mild respiratory infection in 2012, and it lasted so long that I had to put off my marathon training,” Parales says. He returned to the United States in 2014; one of the reasons for his departure was the intensity of the air pollution. Three months ago, Secretary of State John Kerry flew to the Black Sea resort town of Sochi for an unexpected meeting with Russian President Vladimir Putin. A central topic: the civil war in Syria. The meeting was a key part of recent engagement between the U.S. and Moscow on the vexing question of how to end Syria’s brutal civil war, which has left nearly 250,000 dead, fueled the rise of the Islamic State terrorist group, and helped to radicalize would-be terrorists around the world. Now Russia is at the center of a new flurry of Syria-focused diplomacy which has followed the Iran nuclear deal, and which might even involve a new round of direct talks between Washington and Tehran, Syria’s staunchest ally. “The strategic landscape on Syria has shifted in a fairly significant way,” a senior administration official said in an interview. But skeptics both inside the administration and out warn that efforts to work Moscow and Tehran, arguably two of America’s top rivals, are far-fetched and could easily backfire. Turkey's close relationship with Ahrar al-Sham, a Salafist rebel movement, runs counter to U.S. interests and raises serious questions about Ankara's aims in Syria. In April 2012, Turkish Minister of Foreign Affairs Ahmet Davutoglu authored a paper that was to be the basis for Turkey’s Arab Spring doctrine — a “values-based foreign policy” for a region in flux. Davutoglu articulated an interventionist approach according to which Turkey would pursue greater regional integration and encourage representative democracy. He also repeated a central theme from his book, Strategic Depth, pledging that Turkey would work to avoid “new tensions and polarizations” in the region, particularly along sectarian and political lines. Question: Would a Republican President Really Undo the Iran Deal? Even if President Obama’s controversial deal with Iran survives next month’s pitched battle in Congress, the triumph could well prove to be short-lived. In particular, the distinct possibility will remain that the Iran deal gets undone by his immediate successor in the White House. And with would-be Republican nominees falling over themselves to criticize Obama’s approach to the Iranian nuclear question, such an eventuality cannot be ruled out. Importantly, this is true whether or not reversing the Iran deal will make strategic sense in 2017. At first glance, it might seem unlikely that any incoming president would possess either the will or the way to nix the Iran deal. Upon assuming office 17 months from now, the next Commander-in-Chief will probably be briefed by members of the permanent bureaucracy that President Obama, John Kerry and America’s allies were correct all along: that the Geneva framework is the best available option to deny Iran a nuclear weapons capability. The preponderance of official advice will no doubt be against shattering the hard-won international consensus that now exists regarding how to deal with Iran’s nuclear ambitions. What Do We Know About Bangkok’s Deadly Blast? On August 17, at least one explosion occurred at 6:55 pm, Bangkok time, at the revered Erawan Shrine, located at the corner of Phloen Chit and Ratchadamri Road in Thailand. Officials have confirmed that at least 16 people were killed and more than 80 were wounded, though local media reports already suggest that the death toll could be much higher. As authorities investigate, more details will come in, and the above information is expected to change. Accordingly, the party responsible has yet to be identified, but an initial analysis of the attack is possible based on what we know so far. First, because of the location and timing of the explosion, the attackers meant for it to be an exceedingly high casualty event. 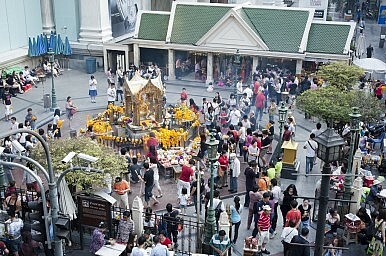 Location-wise, the Erawan Shrine is continually filled with tourists and worshippers. It’s situated on a busy intersection; it’s on the city’s most popular shopping street; it’s directly below a skywalk for Bangkok’s BTS/Skytrain; and it’s close to scores of eateries and the Grand Hyatt hotel. Hundreds of people pass by the shrine every 30 minutes on a daily basis. Much of the examination of the Iran nuclear agreement has focused on the funds that would be released once Iran complied with the terms of the agreement. Some estimates of the near term cash benefit that Iran will receive have gone as high as $150 billion – although U.S. experts put the total at $100 billion and note that some $50 billion of this money has already been obligated. The other side of the story is how relieving sanctions would affect Iran’s oil and gas exports, Iranian export income, the overall Iranian economy, and global oil markets and prices. This will be a function of how soon Iran complies with the terms of the agreement, how the agreement affects the lifting of sanctions, how much capacity Iran can bring back on line at a given time, Iran’s ability to increase future production, the demand for Iran’s exports, and the nature of the world oil market. It will also be affected by the strategic competition between Iran and Saudi Arabia and other crises in countries like Libya and Iraq, as well as by the growing uncertainties in the global economy and demand for oil. Glaciers are disappearing globally faster than at any time since records began 100 years ago. Most of those in central Asia could be gone by 2050. 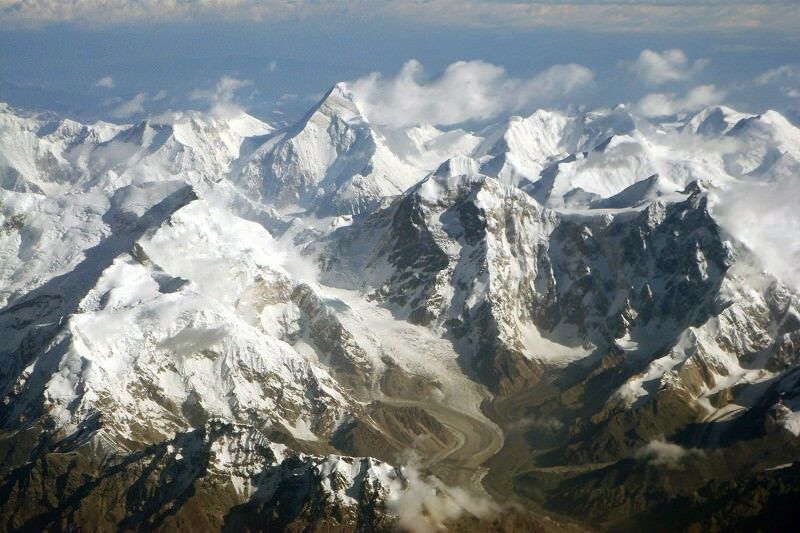 The Celestial mountains of central Asia, the Tien Shan range, are thought to be where apples originated. But they have lost 27 per cent of their glacier mass since 1961, thanks to rising summer temperatures, and could lose a further half of what remains by 2050, according to research by Daniel Farinotti of the Swiss Federal Institute for Forest, Snow and Landscape Research in Birmensdorf, Switzerland. Because meltwater from the glaciers supplies the Fergana Valley, one of the largest irrigated areas on earth, the impact on farmers could be immense. The snow and glacier melt from Tien Shan also provides water to northern China, Kazakhstan, Uzbekistan, Turkmenistan and Kyrgyzstan. “It’s like a huge water tower,” says Farinotti. Secretary of State John Kerry’s August 14 visit to Cuba has provoked a storm of comment, criticism and speculation. Senator Marco Rubio and other detractors have decried the restoration of diplomatic relations as appeasing aging dictators. Some commentators have asked whether the United States will reassert its leadership of the hemisphere now that it has finally ended the most visible remaining vestige of Cold War policy in Latin America. Critics and supporters alike fret over the implications for democracy and development on the island. Whether one sees the new policy as diplomatic triumph or disaster, the focus has been on the next chapter of the rancorous bilateral relationship between the United States and Cuba. In an op-ed in The Guardian last month, Iranian Foreign Minister Mohammad Javad Zarif took his country’s ongoing nuclear fairy tale—according to which Iran has “done no wrong” in the nuclear realm—to the next level. On the basis of his claim that Iran has upheld the spirit of the NPT, whereas the other side has not adhered, he is now making demands that nuclear states begin to disarm and that a Weapons of Mass Destruction Free Zone (WMDFZ) be established in the Middle East. Not only that, but based on Zarif’s remarks, it is noted that Iran is signaling that it would like to take on the leadership of the campaigns for disarmament and the creation of a WMDFZ. But here's the thing: Iran has blatantly violated the spirit and the letter of the NPT because it worked on a military nuclear capability for decades, in violation of the NPT. Still, Iran continues the farce by denying both the work it did in the past, and the fact that it still harbors military nuclear ambitions. Iran is of course a regional bully—a supporter of terrorism and a state that has the audacity to say that another sovereign state, Israel, has no place in the Middle East, and how it longs for Israel's annihilation. Europe’s greenhouse gas emissions are falling fast, mainly because of the rapid spread of thewind turbines and solar panels that are replacing fossil fuels for electricity generation. European Union (EU) data shows that once countries adopt measures to reduce greenhouse gases (GHGs), they often exceed their targets—and this finding is backed up by figures released this week in a statement by the United Nations Framework Convention on Climate Change (UNFCCC). The Convention’s statistics show that the 37 industrialized countries (plus the EU) that signed up in 1997 to the Kyoto Protocol—the original international treaty on combating global warming—have frequently exceeded their promised GHG cuts by a large margin. Think the world is crowded now? You haven’t seen anything yet. The world is expected to add another billion people within the next 15 years, bringing the total global population from 7.3 billion in mid-2015 to 8.5 billion in 2030, 9.7 billion in 2050, and 11.2 billion by 2100, according to new estimates from the UN. Currently, 60 percent of the global population lives in Asia, 16 percent in Africa, 10 percent in Europe, 9 percent in Latin America and the Caribbean, and only 5 percent in North America and Oceania. China and India are the largest countries in the world, together making up almost 40 percent of the world population. But those numbers won’t stay that way for long. The charts below, created by data scientist Tariq Khokhar for the World Bank data blog using the medium estimates of the UN figures, show our world is set to change in surprising ways. 1. Get ready for another 4 billion people by 2100. Russia’s war against Ukraine is now well into its second year. The contested area in East Ukraine is still marked by regular exchanges of fire and equally regular losses of life. At the end of June, the United Nations reported that 6,500 people had perished in the past year of the conflict, along with 16,000 wounded and that 5 million were in need of aid. There have been regular warnings of new Russian offensives, but these have yet to materialize, and for all the effort put in by both sides, the basic contours of the conflict have barely changed since last September. It is not evident that either side has a strategy for bringing the conflict to a conclusion. The situation can be described as one in which they are both seeking the exhaustion of the other. Exhaustion here does not so much describe a physical state of being unable to continue with the struggle, but more of a mental state – a sense of weariness and futility that leads to a readiness to accept a political compromise that would previously have been rejected. Exhaustion can be the result not only of frustration with a military position, but also of economic pressure and political discontent. It is not unusual for conflicts to settle down to probes and pushes after an initial period marked by bigger movements and exchanges of territory, reaching a point where both sides are tired without either being ready to concede. In such situations, there may well be temptations to attempt occasional offensives intended to achieve breakthroughs or at least cause attrition. There may also be, as in this case, attempts by third parties to mediate cease-fires and peace treaties. A conflict that has reached the state of a “mutually hurting stalemate” is often seen to be one ripe for a negotiated settlement. Yet this does not mean that such efforts will succeed: they can instead provide breathing space, a chance to regain energy, and so in the end prolong the struggle. The increasing demand for surveillance-proof computing has led to more advanced forms of encryption. Most notably, in 2014, Apple released anoperating system that cannot be unlocked; even with a lawful warrant, Apple itself lacks the technological capacity to crack into a password-locked device. Google announced their plans for encryption the next day. Pre-existing systems that use whole disk or end-to-end encryption are also rising in popularity. Law enforcement broadly and the Justice Department specifically were not pleased with this development in technology. In an effort spearheaded by FBI director James Comey and Deputy Attorney General Sally Quinlan Yates, the U.S. government is trying to expand its capacity to compel tech giants like Apple and Google to develop a so-called “backdoor” into their encrypted devices. Benjamin Netanyahu is an out there kind of politician. He courts, even thrives on controversy. It is hardly unusual for a political leader to play exclusively to their base, scare-monger or use dog whistle appeals to racism and jingoism. Many supporters in Israel, America and elsewhere revel in Bibi’s brash style, many opponents recoil in revulsion. With Netanyahu poised to overtake David Ben-Gurion as the longest ever occupant of the Israeli prime minister's office, it is hard to argue that this style has not served him well. In his campaign against the P5+1 nuclear deal with Iran, the Joint Comprehensive Plan Of action or JCPOA, Netanyahu appears to have doubled down on his abrasive and divisive in-your-face politics. Dr. Zachary Abuza is an independent analyst who writes on Southeast Asian politics and security issues. He recently spoke with The Diplomat’s associate editor Prashanth Parameswaran about the deadly bomb blast that occurred on August 17 in Bangkok – one of the worst attacks of this kind Thailand has experienced in recent memory. An edited version of that interview follows. We’ve seen a number of attempted and actual attacks in Thailand since the ruling junta seized power in a coup last May. What makes this attack different from ones we have seen in the past? There have been a number of small attacks in Thailand since the coup that has been attributed to radical ‘Red Shirt’ supporters of the toppled government of former prime minister Yingluck Shinawatra. These include a hand grenade attack in front of the Criminal Court in March 2015. But this attack was different for a few reasons. 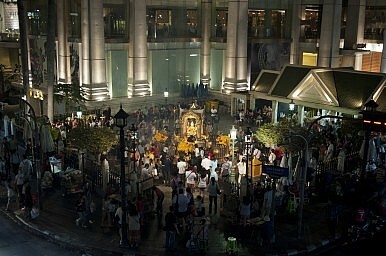 First, while other attacks have used low level explosives, Thai police are reporting that the bomb used in the Erawan Shrine attack was three kilograms of TNT – qualitatively different. No other attack was used to cause mass casualties. Second, other attacks have targeted symbols of the regime, this targeted a very popular tourist venue in the symbolic heart of Bangkok, across from three malls and many hotels. They have never targeted foreigners. What’s Behind Thailand’s Deadly Bomb Blast? 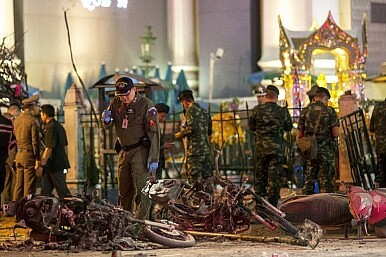 A bomb planted inside one of Thailand’s most renowned shrines exploded Monday evening, killing at least 16 people and wounding more than 80 in what appears to be the worst in a series of explosions since the Thai military took power in a coup last May. According to The Bangkok Post, the blast occurred at 6:55pm local time near the Erawan Shrine, an important tourist destination by the busy Ratchaprasong intersection in the center of Bangkok. The shrine is popular among both locals as well as foreign tourists, particularly ethnic Chinese from East Asian nations like Singapore and Taiwan. Police have confirmed that at least 16 people have been killed, including one Filipino and Chinese national, though some sources have already reported the death toll to have risen. Local media sources have said that most of the wounded were from China and Taiwan. In a recent interview with VOA Uzbek Service’s Navbahor Imamova, outgoing Principal Deputy Assistant Secretary of State for South and Central Asian Affairs, Ambassador Richard E. Hoagland, commented on regional worries about ISIS and the importance of people to people connections. Hoagland, while offering nuanced comments on diplomacy, seemed to dodge away from answering what worries him most about the region’s future. IS NATO TREATING POLAND LIKE A BUFFER STATE?